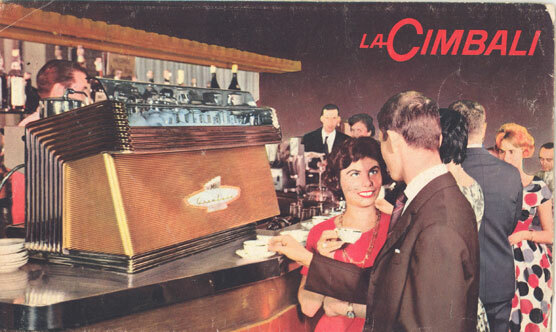 The production of coffee machines branded LaCimbali begins (Rapida). The technology of that time is based on a vertically positioned boiler, hence the name of column machines, mainly heated by coal or wood. 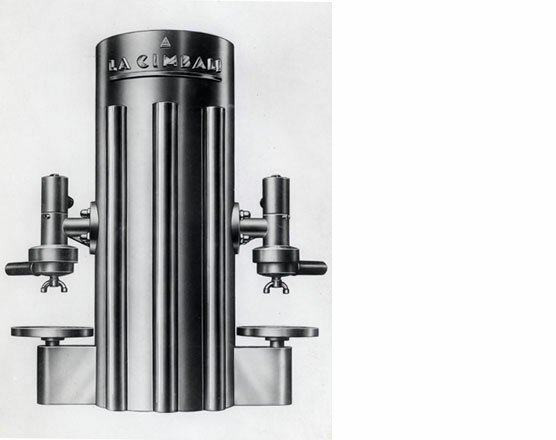 With the spread of electricity and the advent of the lever to produce coffee cream, also LaCimbali's machines undergo a technological revolution. (Ala, Gioiello and Brillante).The lever is a real technological revolution because it creates the necessary pressure to extract everything that gives taste, aroma and body to a cup of coffee. 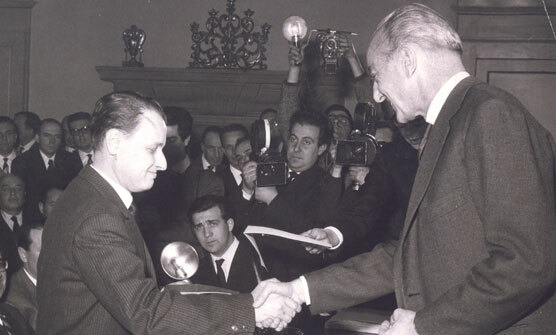 In 1962, Pitagora wins the prestigious “Compasso d’Oro” for its strikingly modern design, characterized by simple, clean lines, created by the Castiglioni architects. 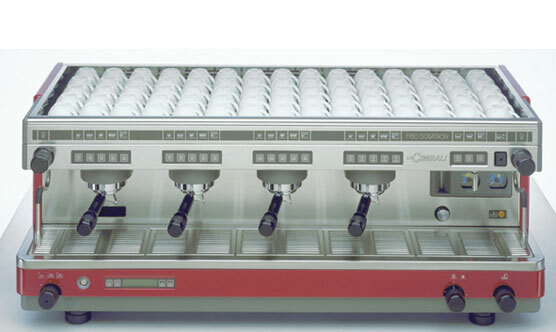 For the first time, stainless steel, colour and silk-screen are used, all characteristics which allows it to gain unprecedented commercial success.Pitagora is still today the only coffee machine to have won the “Compasso d’Oro”. Pitagora, with its strict lines, laid the path for industrialisation, that is to say the reproducibility in series of LaCimbali products. In these years the company, in the collaboration with Rodolfo Bonetto, designs historic models such as M15 and M20. 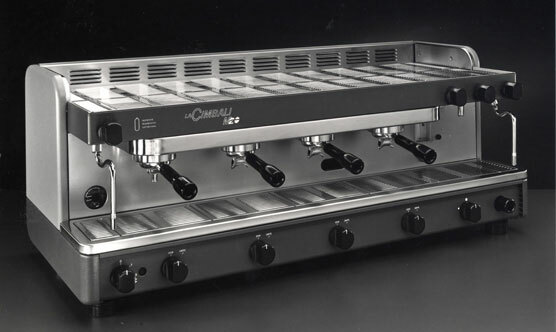 In the M20, controls and electrical section are placed in the base in order to make the barista's work more ergonomic.With these models the machine working side becomes more important than the rear bodywork. With the M15, which is available in the hydraulic, lever and direct injection versions, LaCimbali introduces the novelty of the electrovalve. This decade sees the launch of the first traditional machines equipped with an evolved microprocessor that can manage their main functions and the machine automatic switching on and off almost anticipating the current energy saving requirements. (M30, M31, M32). From now on electronics will become one of the focal points of both the traditional and the superautomatic machines, and together with the continuous research into ergonomics of use, the flagship of the company Design and Research and Development departments. This decade sees the launch of the first traditional machines equipped with an evolved microprocessor that can manage their main functions and the machine automatic switching on and off almost anticipating the current energy saving requirements. (M30, M31, M32). From now on electronics will become one of the focal points of both the traditional and the superautomatic machines, and together with the continuous research into ergonomics of use, the flagship of the company Design and Research and Development departments. 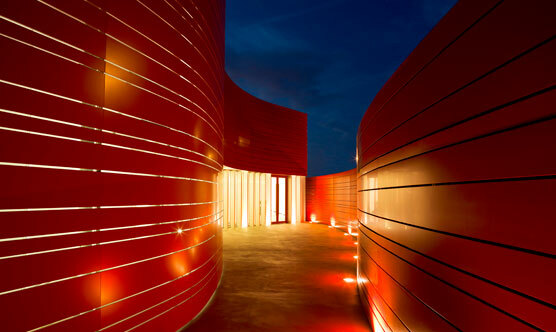 In 2012, Gruppo Cimbali celebrated 100 years of activity by inaugurating MUMAC, the first museum entirely dedicated to the professional espresso coffee machines. 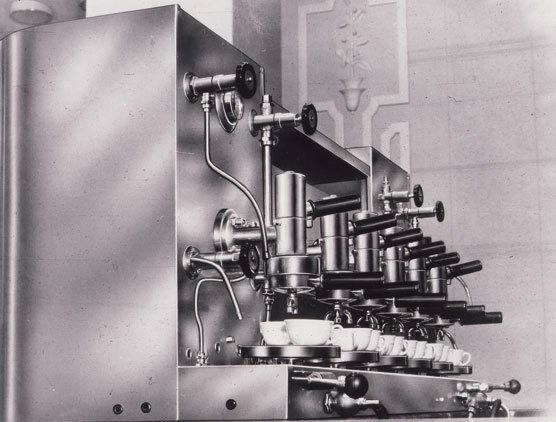 It collects 200 pieces and exhibits 100 machines from the Maltoni and Gruppo Cimbali Collections in a narrative itinerary that is divided into six rooms from 1900 to the present days, making it the world's largest exhibition of professional espresso coffee machines. MUMAC is also MUMAC Academy, a proper school that provides education and training to satisfy the different market needs as well as tasting and sensory evaluation courses on the quality of coffee, open to companies and professionals but also to coffee lovers and enthusiasts. LaCimbali launches Albadoro, a machine with two independent vertical boilers that can feature from 3 to 6 coffee groups, for the first time positioned at the front of the machine, and the cup-warmer. Positioning the coffee groups at the machine front makes working more ergonomic: you no longer need to move around the machine to work. 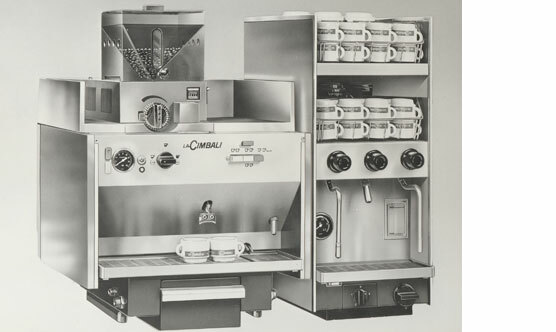 In 1955, the company launches Granluce, equipped with the hydraulic group (patented) able to facilitate and reduce the barista's workload because makes the delivery completely automatic. 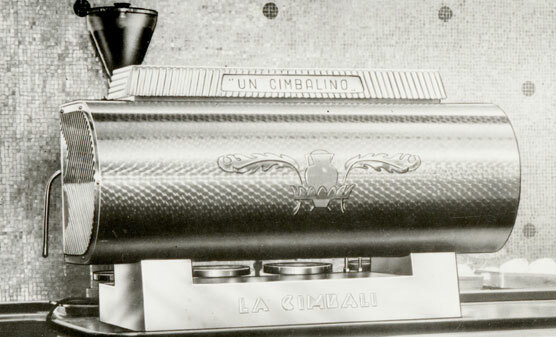 This innovation allows LaCimbali to enter new foreign markets.The hydraulic group replaces the pressure exerted by the lever spring with that of the water mains, which reaches the 9 bars necessary for the proper extraction of the coffee-cream thanks to a system which multiplies it. 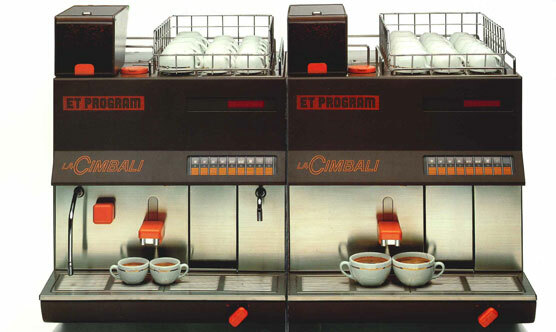 In the late 60s, Cimbali begins to experiment with complete automation and presents Superbar, its first superautomatic machine built specifically for use in bars. 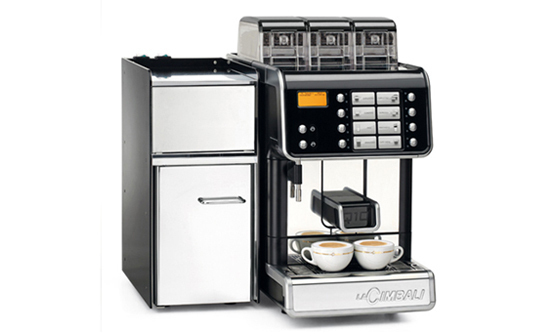 A superautomatic machine allows even the less experienced barista to prepare excellent coffee cups starting from grinding the coffee beans up to discharging coffee grounds. 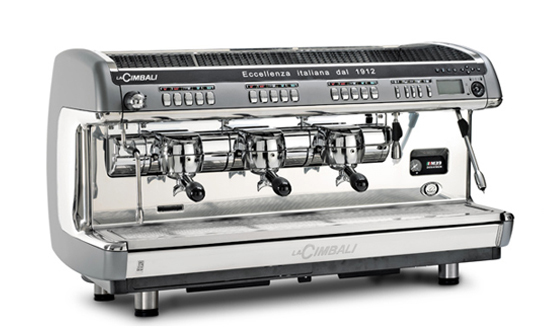 LaCimbali launches the ET, our first electronic machine (designed by Matzunaga). 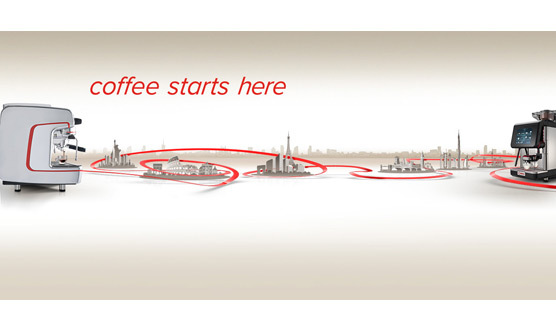 The Dolcevita series of superautomatic machines further refines the concept of total automation: the machines ensures excellent and consistent in-the-cup results contributing to the spread of the espresso culture in the world, especially in those markets that are not accustomed to the taste of Italian coffee. 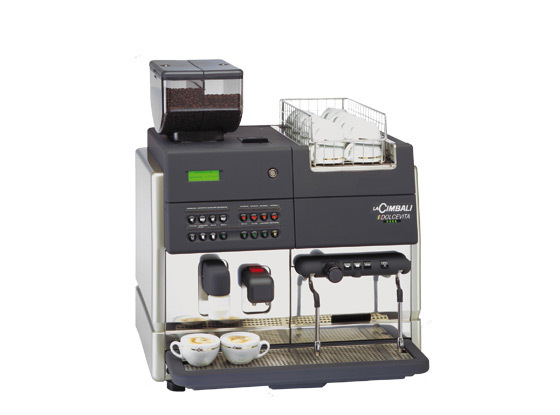 This technology initially is successful especially in those markets where the skills in the preparation of espresso and cappuccino hasn’t got established traditions. 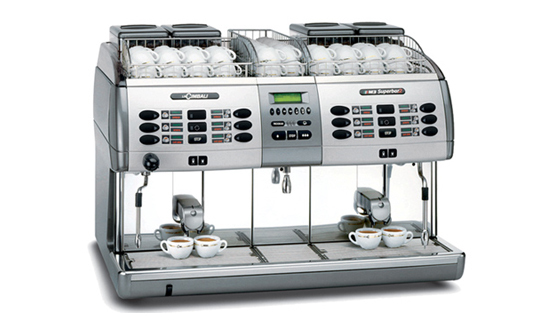 The Dolcevita series of superautomatic machines further refines the concept of total automation: the machines ensures excellent and consistent in-the-cup results contributing to the spread of the espresso culture in the world, especially in those markets that are not accustomed to the taste of Italian coffee. This technology initially is successful especially in those markets where the skills in the preparation of espresso and cappuccino hasn’t got established traditions. 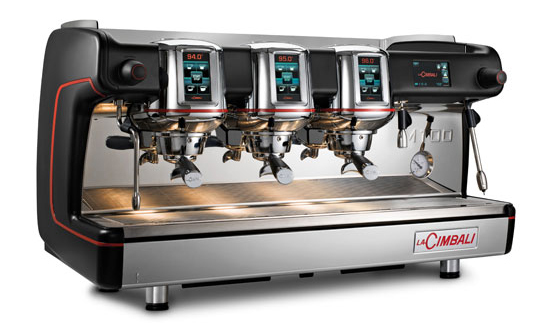 Evolution of the M39 series, the M100 features thermocontrolled independent coffee boilers where the preheated extraction water arrives (GT system), the HD system to personalise the extraction water pressure and touch screens for the beverage selection as well as advanced electronics, a USB port, the Smart Boiler technology and the Turbosteam Milk4. Coffee starts here è una promessa fondata sul presente. Dà inizio ad un viaggio che parte da Milano per espandersi ai mercati di tutto il mondo. Affonda le proprie radici nella forza del disegno industriale e nel processo di sales e after-sales. 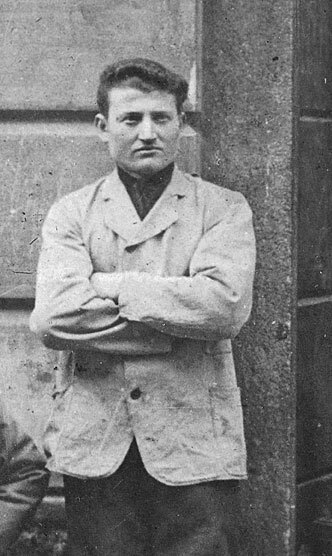 LaCimbali non è solo espresso ma tutta la variegata gamma di bevande erogate ogni giorno, ovunque nel mondo, per soddisfare i gusti e i trend internazionali.